Below is the schedule of events that are open to the Penn community in honor of the Inauguration of Dr. Amy Gutmann. We encourage supervisors to allow interested staff to attend Inauguration activities. 12:30 p.m. Closing Remarks from the Sayre Principal Joseph Starinieri, Councilwoman Jannie Blackwell and President Amy Gutmann. Register to volunteer at www.upenn.edu/inauguration. The info line for this event is (215) 573-1988. Buses will be transporting volunteers from the Penn campus to Sayre School and back to campus. 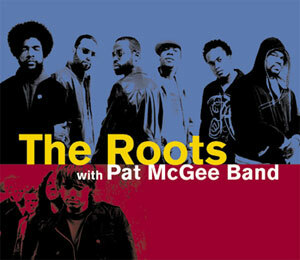 Doors open at 6:30 p.m. Inaugural Concert The Roots with Pat McGee Band. Hill Square. Open to the Penn community. Tickets available at the Annenberg Center Box Office beginning Monday, October 4. Penn ID required. One ticket per Penn ID. 10:30 a.m.-noon. Inauguration Ceremony. Irvine Auditorium. Tickets required. Remote viewing sites available on campus. Ceremony will be webcast. 12:30-2 p.m. Luncheon Celebration. Blanche Levy Park at College Green (Rain location: Houston Hall) Open to the Penn community, alumni and Inauguration participants and guests. For more details about these sessions, see last week's Almanac, available online at www.upenn.edu/almanac. Register to attend a session at www.upenn.edu/inauguration. Locations may change and will be posted on the website. Please see www.upenn.edu/inauguration for a complete list of Inaugural events.